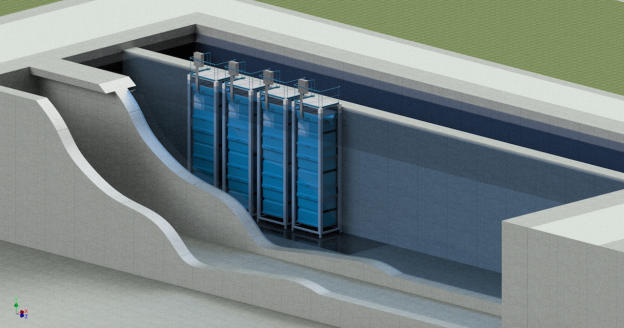 OxyMem can transform overloaded, inefficient, or even obsolete wastewater treatment plants into high efficiency odour-free facilities capable of servicing much higher population equivalents in a matter of weeks. As plants move towards the end of their working life it often means wastewater is not being treated to the required discharge levels. These installations are operating well beyond their intended lifespan and beyond heir intended capacity. These issues all contribute to an inefficient and unsustainable demand for energy. 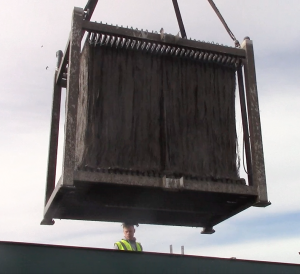 The MABR can be deployed in a matter of days to supplement the biological treatment capacity of an existing Activated Sludge process and increase the treatment capacity by 50% allowing for either treatment capacity or higher effluent quality. The OxyMem MABR can be retrofitted within a wastewater treatment plant of almost any size often without emptying the tank / basin.